Today in Albany, New York State Chief Judge Jonathan Lippman presented his annual state of the judiciary address. I've been lucky enough to attend a number of these speeches over the years and they always manage to strike a chord with me, for a number of reasons. First and foremost is the setting: the Court of Appeals in Albany is a beautiful space that offers a living connection to the history of government and jurisprudence in New York (see above for a quick shot of the space, taken from my phone's camera). Second, unless I am mistaken, the chief judge is under no constitutional mandate to make such an address. Rather, Chief Judge Lippman (and Judge Judith Kaye before him) have chosen to make these remarks as an exercise in public transparency and accountability. I'm always happy to be a witness to acts of good government. Finally, like any "state of" address, these speeches offer a brief glimpse into what's on the mind of the judicial branch and its leadership. For many years, Chief Judge Lippman and Chief Judge Kaye used the state of the judiciary address as a bully pulpit to argue for judicial salary increases. Thanks to their advocacy -- and the efforts of the governor and legislature -- this issue has been taken off the table. The energy of the system has returned to reform. 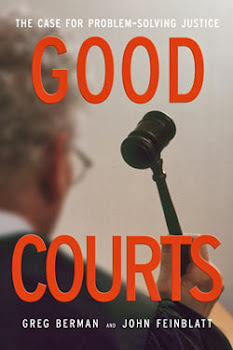 Chief Judge Lippman spelled out an ambitious agenda that touched on issues of civil legal services, commercial litigation, wrongful convictions, cameras in the courtroom and other topics. 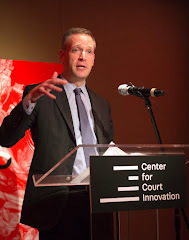 He devoted a healthy section of the speech to the idea of reforming how courts handle cases involving 16- and 17-year old defendants -- an effort that the Center for Court Innovation is helping to implement and evaluate. But the headlines tomorrow will undoubtedly be devoted to Lippman's call for bail reform. Lippman spelled out a number of problems with New York's current approach to bail, including the fact that judges are not allowed to take public safety into consideration when making bail decisions. He pointed out that the system relies heavily on for-profit bail bonds companies, which often operate with a different set of values than other justice agencies. 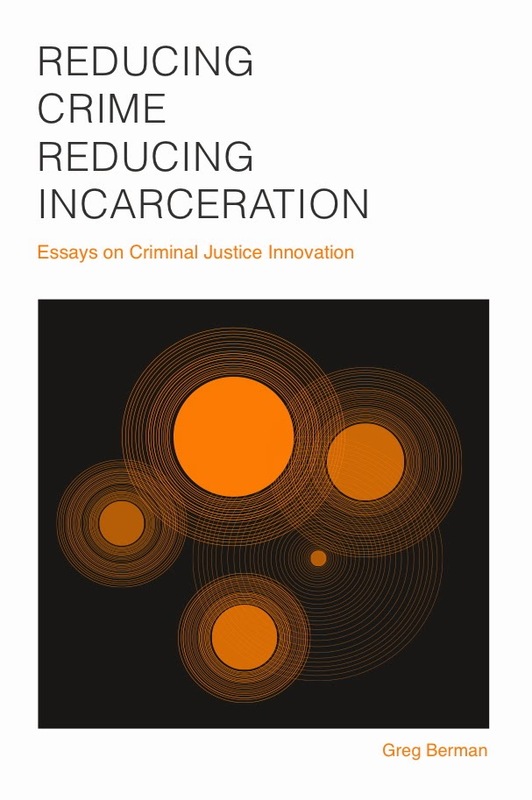 And he called for new investments in supervised release programs, including a proposed pilot program for misdemeanants in New York City that he has asked the Center for Court Innovation to help plan. We've got a lot of work to do on this, but I'm eager to get started.